Sequent is a kinetic self-charging smartwatch that promises "infinite power"
The contemporary smartwatch might be a nifty gadget, but nearly every model on the market is plagued by a rather big shortcoming - poor battery life. In the quest to increase the time between charges, certain manufacturers have opted to blend traditional analog watch designs with modern-day notification and tracking tech, resulting in the so-called "hybrid smartwatch" which does address the issue to a large extent. 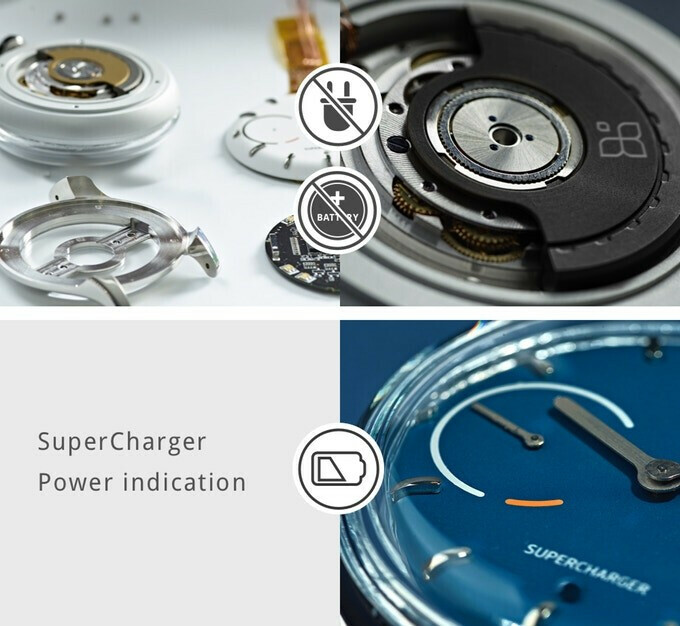 However, wouldn't it be neat if you can buy an intelligent timepiece that can go infinitely without the need for any changing or charging of the battery? 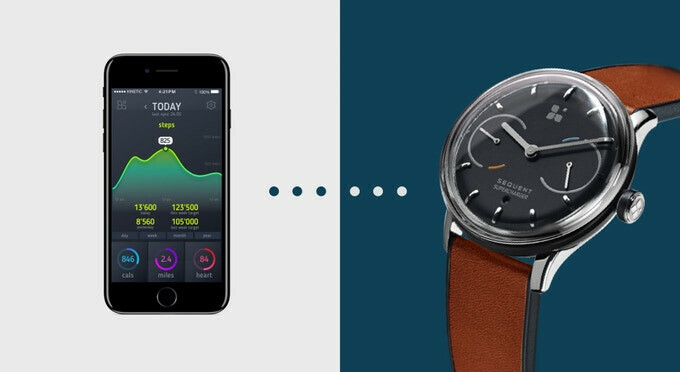 Swiss start-up Sequent is trying to achieve just that, as its eponymous smartwatch relies on a kinetic self-charging system that generates power as you move around. The watch itself packs the standard set of features that one would expect in such a hybrid device: a heart rate sensor, sleep monitor, GPS, notification system, and Bluetooth connectivity which hooks it to the proprietary smartphone app. Of course, by this point, many of us are wondering how long can the watch last with little or no movement before it eventually dies off. In its FAQ section, Sequent says that one day of wearing the timepiece will get you "a power reserve for 100 days in stand-by mode". Does all of this sound too good to be true? We're inclined to say yes, as kinetic energy, although through a different mechanism, has been used to charge analog watches for quite some time. One would assume that by now, a big-name company would have tried to introduce a similar product if the technology was indeed viable. Nonetheless, we can't really denounce the gadget as snake oil before it actually gets reviewed. Fortunately, this might happen soon, as the Kickstarter goal has been exceeded and the first deliveries are expected to commence in December of this year. You can currently back the project and grab a watch at the reduced price of $198 per unit, a big discount compared to the supposed $438 retail price when (and if) Sequent becomes official. Still, use your own judgment when backing any project on Kickstarter, as there is no guarantee that the people who raise funds for their products or services will actually deliver on their promises. Indeed sounds too good to be true. i agree, there is no way kinetic energy can power all the chips and sensors in this watch. especially the energy is being stored in a battery first with bigger loss of energy in the process while mechanical watch receives energy directly from the mechanical movement. chances are the watch itself may be powered by mechanical movement, but you still have to charge the watch for the smart features.